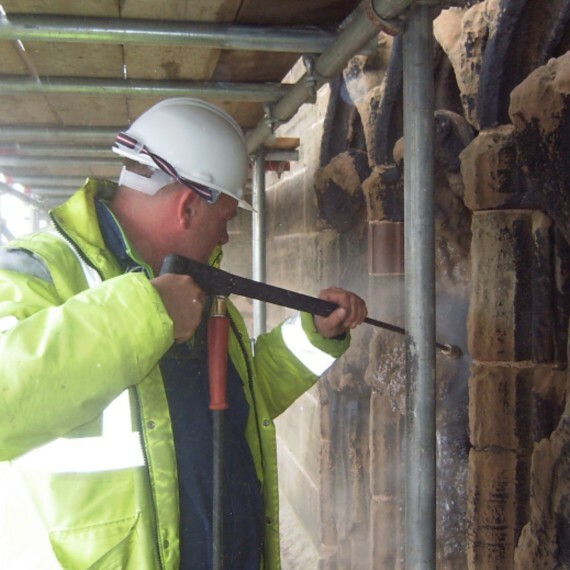 The PCC ran a two year fundraising campaign which, together with significant grant aid from English Heritage, allowed them to carry out a joint project of repairs (together with re-leading of the Nave roof). 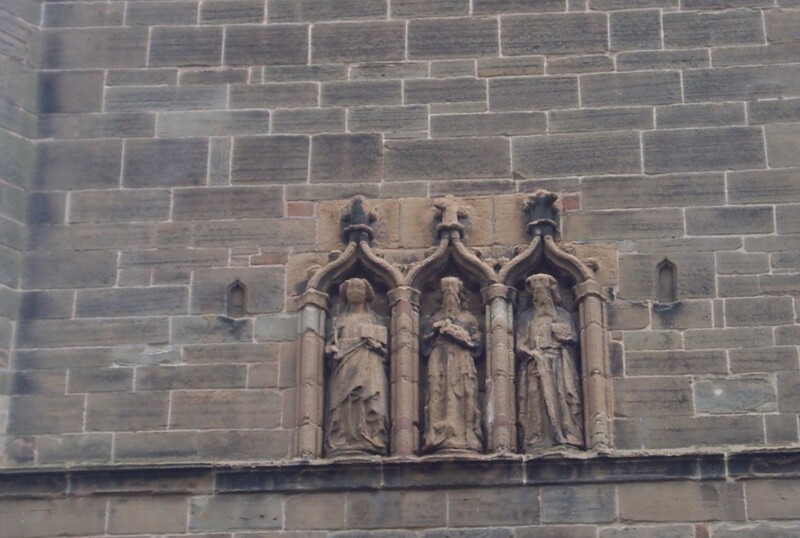 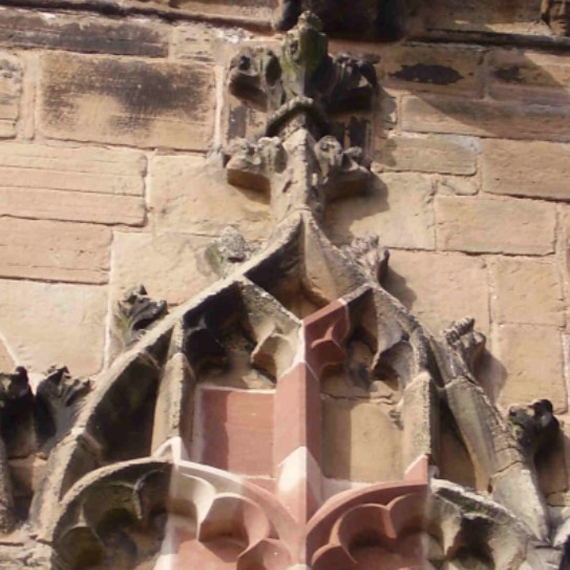 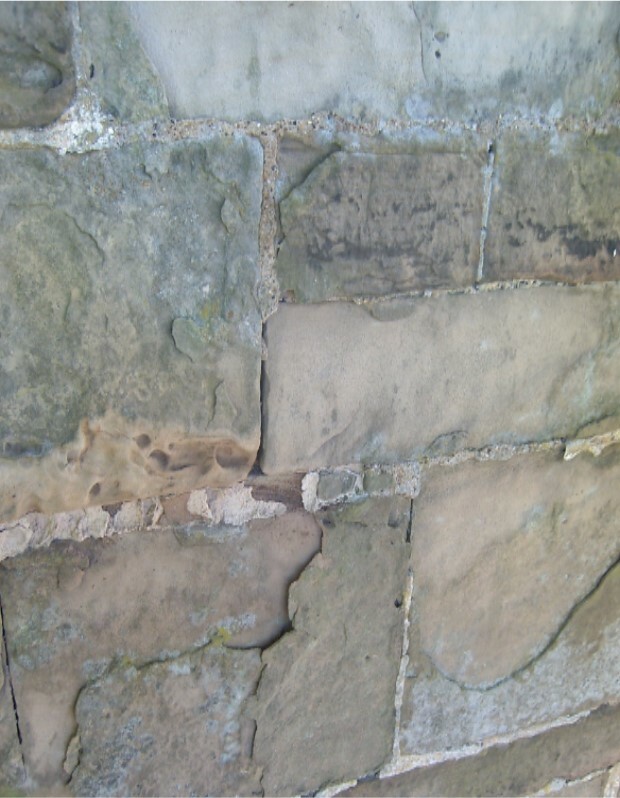 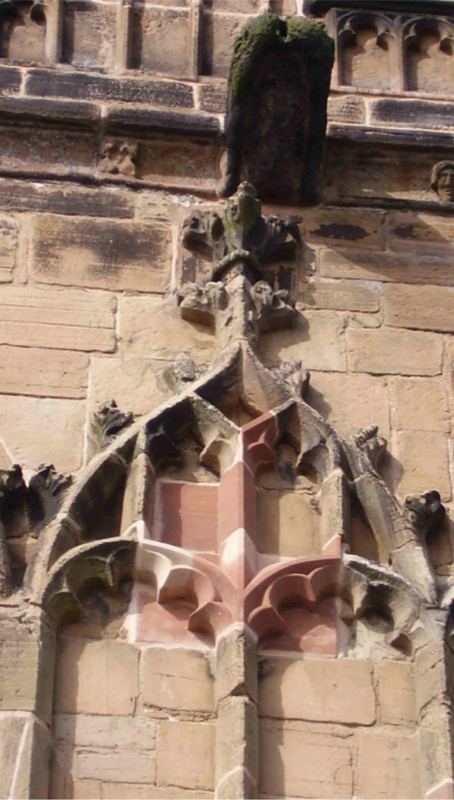 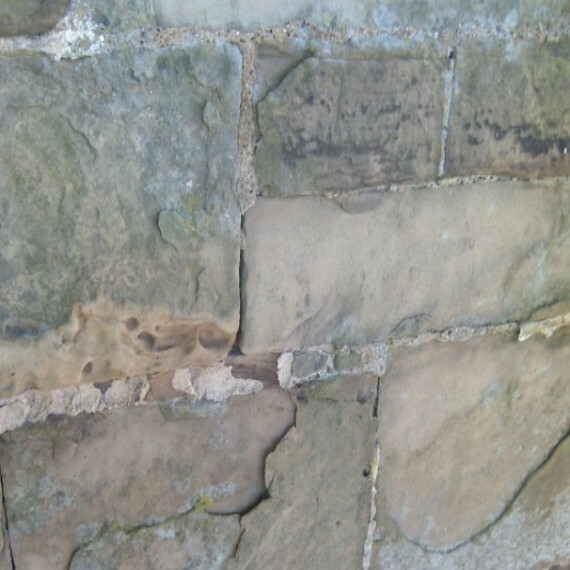 Many of the individual stones had heavily weathered and delaminating surfaces with much of the mortar pointing between stones requiring renewal. 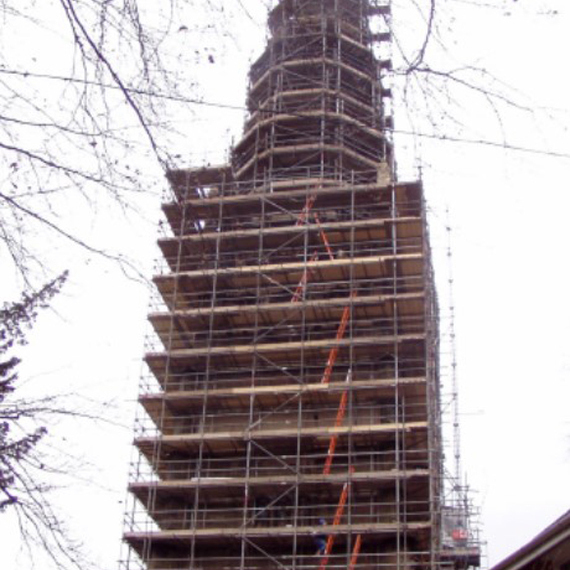 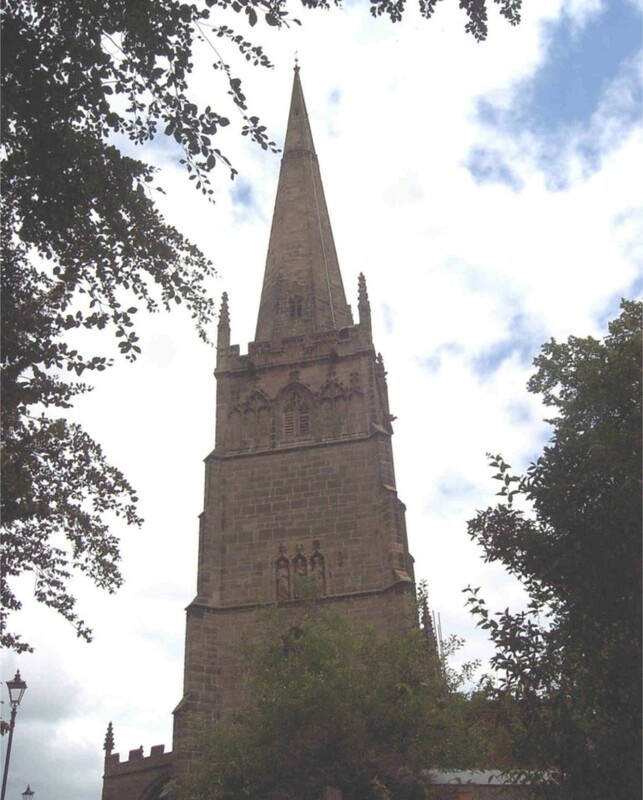 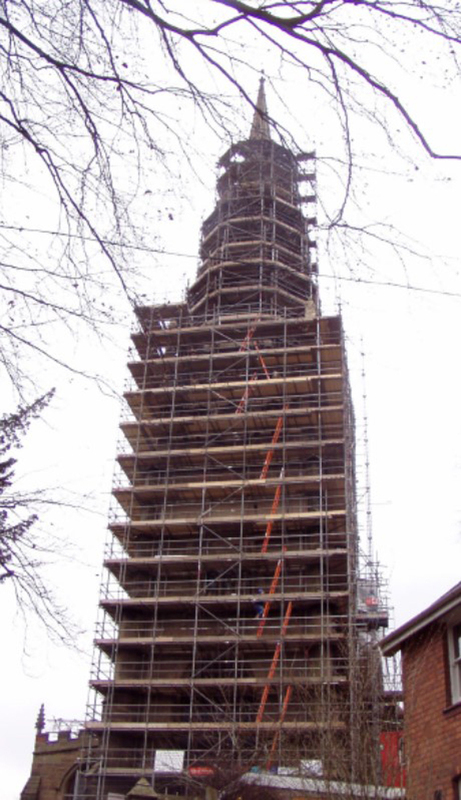 After erection of scaffolding to the full 200ft height of the steeple a careful assessment of the extent of stone repair and replacement was carried out. 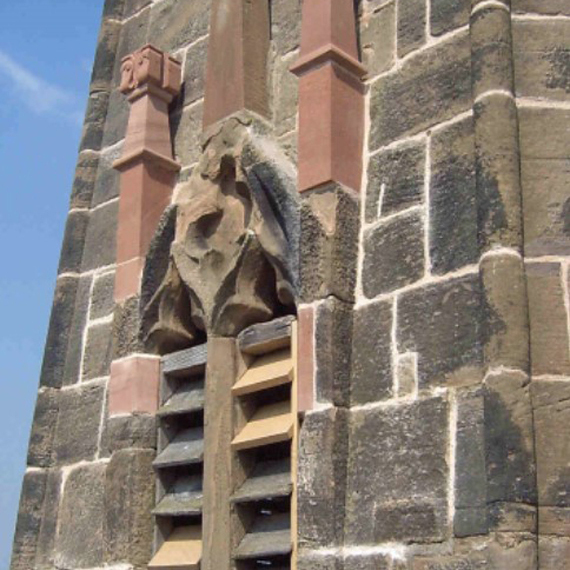 The works were then instigated and included rebuilding three of the Tower corner pinnacles which were unstable plus the conservation and cleaning of three full-size west end statues. 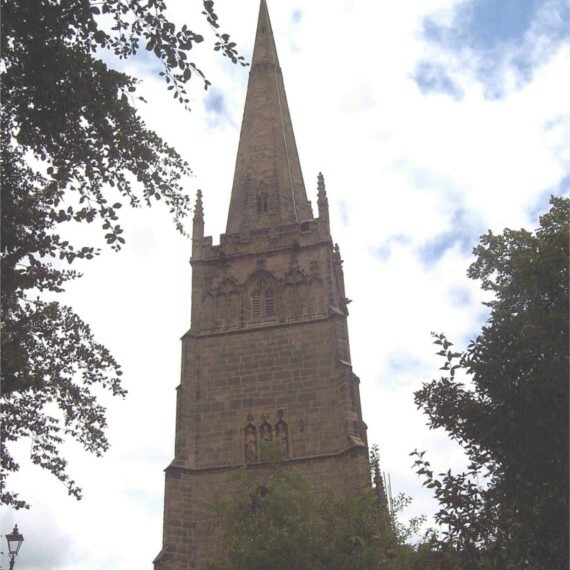 The completed works also included repair and refurbishment of the apex finial and clock face, with re-gilding of the cockerel, numerals and hands. 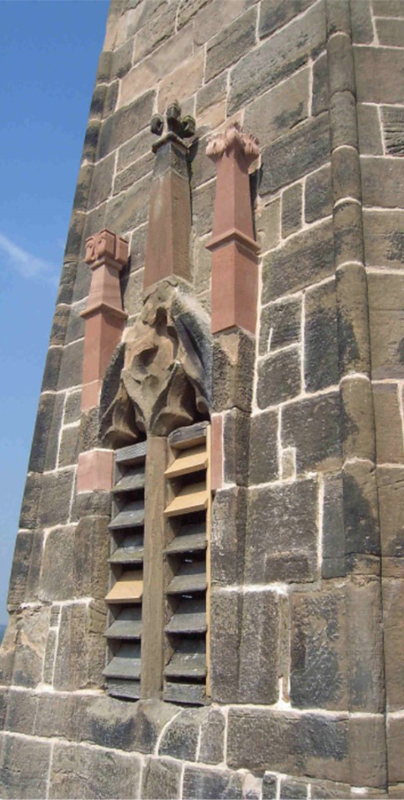 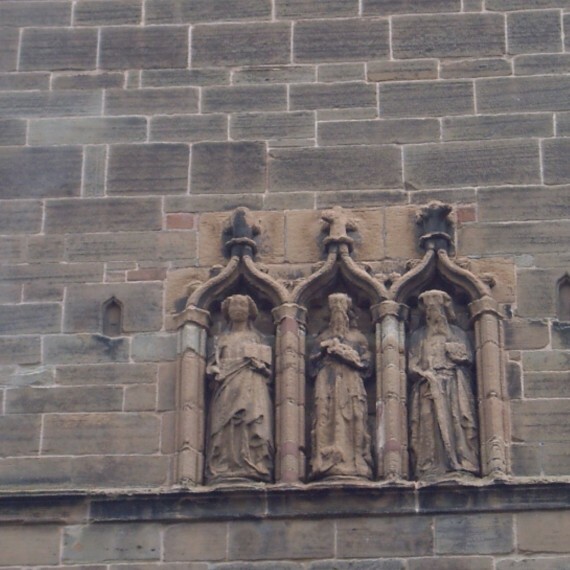 The works included rebuilding three of the Tower corner pinnacles which were unstable plus the conservation and cleaning of three full-size west end statues. 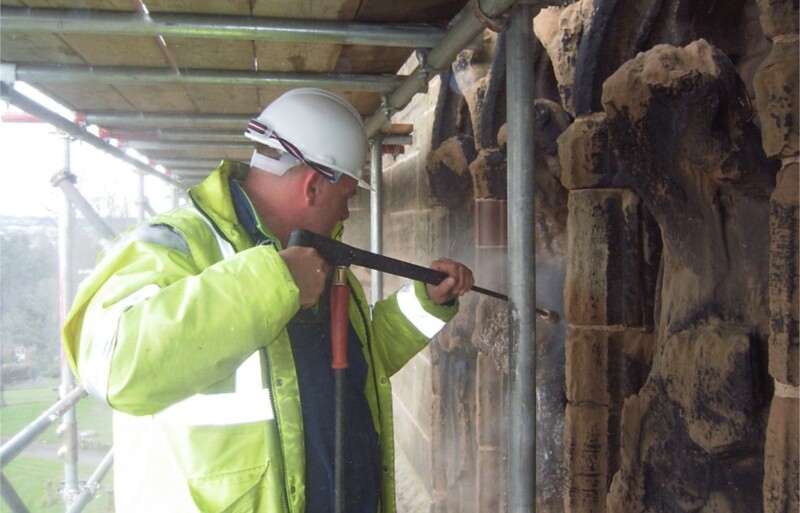 The completed works also included repair and refurbishment of the apex finial and clock face, with re-gilding of the cockerel, numerals and hands.